Welcome to the award winning, highly sought-after, Hunters Green, with top-rated schools, access to elite amenities, and the true sense of community. Dreams come true entering through an oak tree canopy to this move-in ready, spectacular 4-bedroom 3 FULL bath, with open-floor plan, perfect for entertaining! NEW A/C 2017 and Newer ROOF in last 5 years!! This home has been meticulously cared for and has been updated with all the bells and whistles! 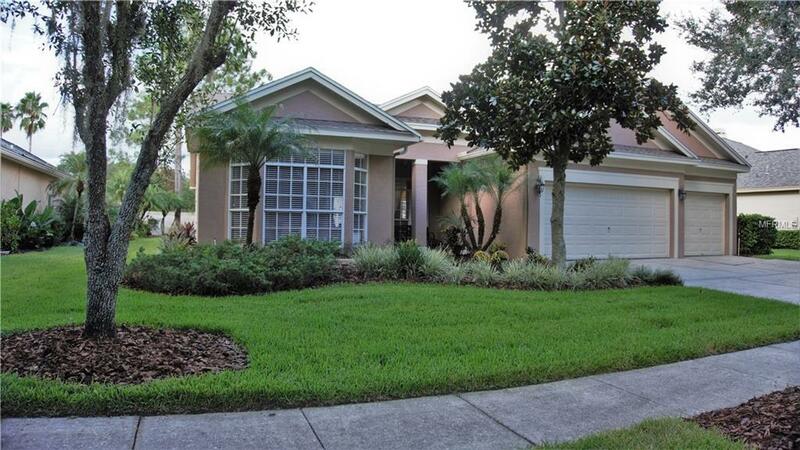 New floors throughout, with carpet in bedrooms, create comfort in Florida. This spacious 2,456 SqFt. home features the must have split-floor plan, with spacious bedrooms, boasting custom-built closets throughout the entire home! The list goes on: window treatments, fans, light fixtures, new pool pump, fresh landscaping, and sod!!! Check all the boxes by relaxing in your private oasis, with pool and screen in lanai. UPDATED Kitchen and Bathrooms!!! Dont miss out on Country Club Golf course living, with beautifully manicured grounds, parks, playgrounds and tennis courts. All conveniently located to I-75, minutes from Schools, Wiregrass Mall, Prime Outlets, nearby USF, Hospitals and more! Additional Lease Restrictions Buyer To Verify All Lease Restrictions With Hoa. Hunters Green P: 813-991-4818 Website: Https://Www.Huntersgreen.Com/Info.Php?Pnum=6Hampton On The Green Gary Saliba P: 813-968-5665 Ext. 308 Garys@Wisepropertymanagement.Com. Amenities Additional Fees Buyer To Verify All Hoa information And Fees. Hunters Green P: 813-991-4818 Website: Https://Www.Huntersgreen.Com/Default.Php. Hampton On The Green Gary Saliba P: 813-968-5665 Ext. 308 Garys@Wisepropertymanagement.Com. Pet Restrictions Buyer To Verify All Pet Restrictions With Hoa. Hunters Green P: 813-991-4818 Website: Https://Www.Huntersgreen.Com/Info.Php?Pnum=46Hampton On The Green Gary Saliba P: 813-968-5665 Ext. 308 Garys@Wisepropertymanagement.Com.